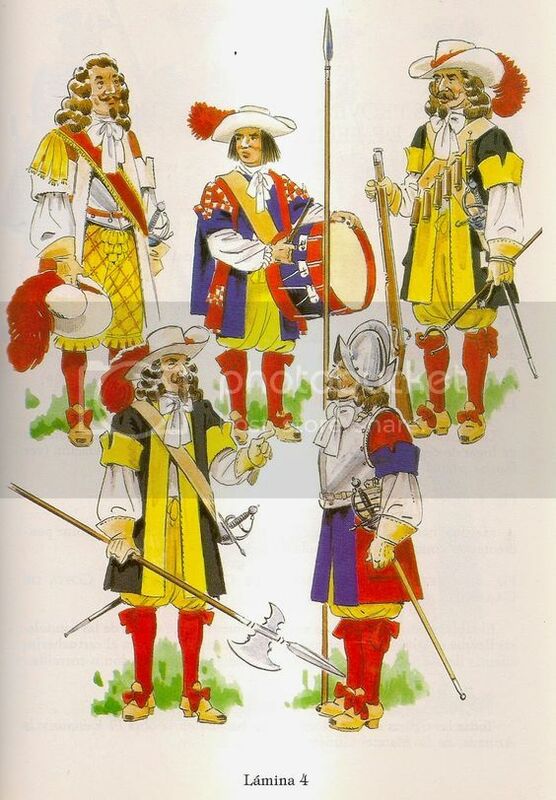 Hi all, As you may know, there are some differences between the Spanish uniform of 1670 onwards (and earlier too!) 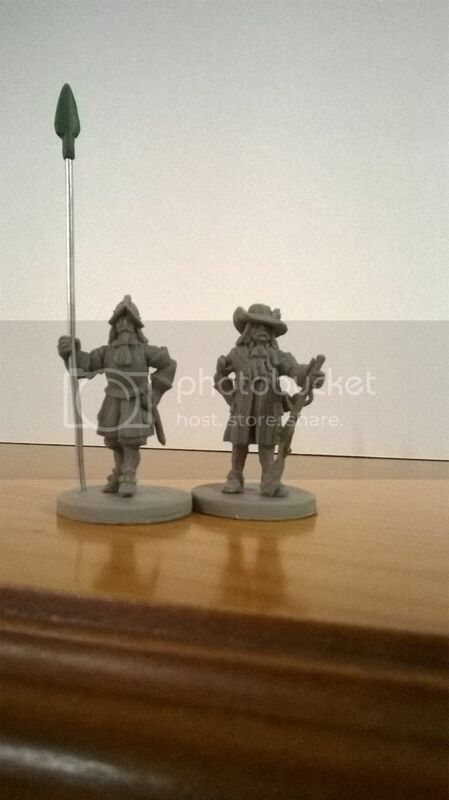 and other European armies, sadly nobody produces them in 28mm today, Northstar 1672 ( Phoenix Miniatures ) discontinued them not so long ago. 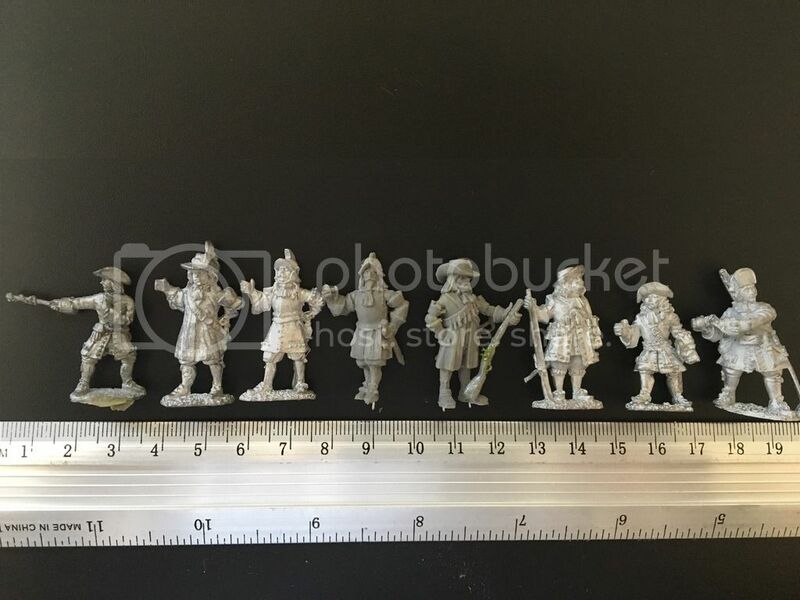 With that in mind I want to enlarge my collection for the League of Augsburg war, with more kind of miniatures in order to represent uniforms for the War of the Devolution and above all, the Franco Dutch War. 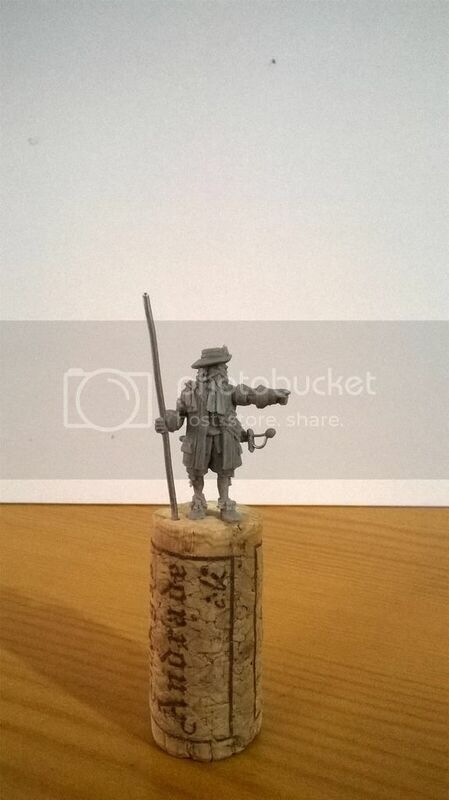 I want to expand the range with foot dragoons and maybe a pair of officers. 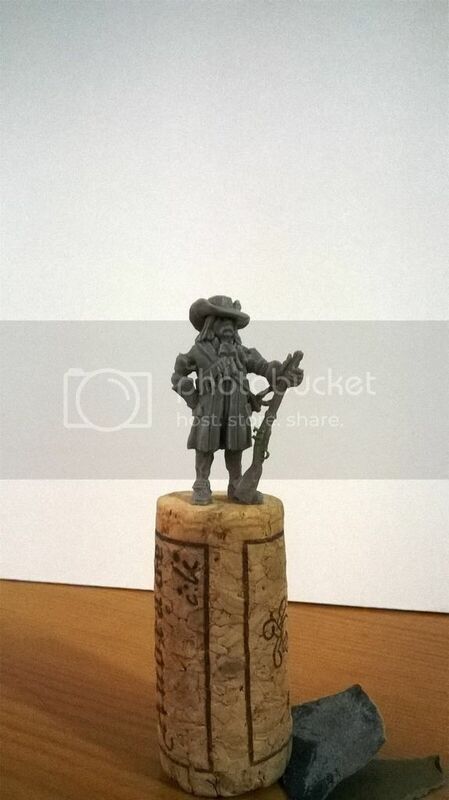 I am no manufacturer nor a company but If anyone is interested in this miniproject of course can contact me. Last edited by chema1986 on Wed Jun 21, 2017 7:30 am, edited 3 times in total. 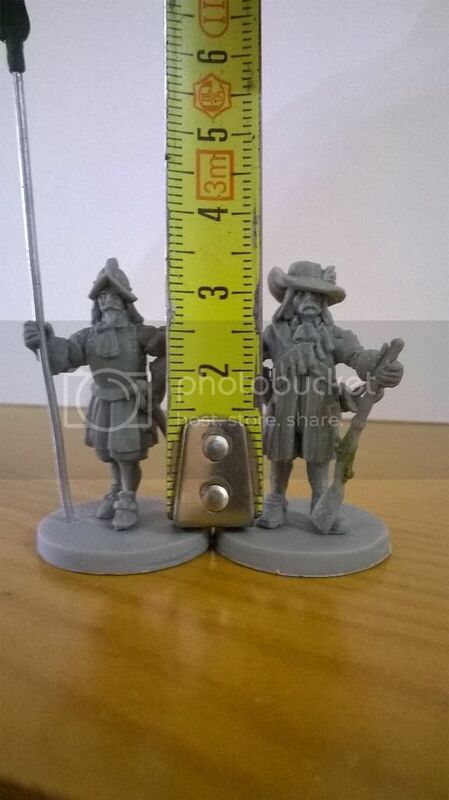 chema1986, you are sculpting these yourself? 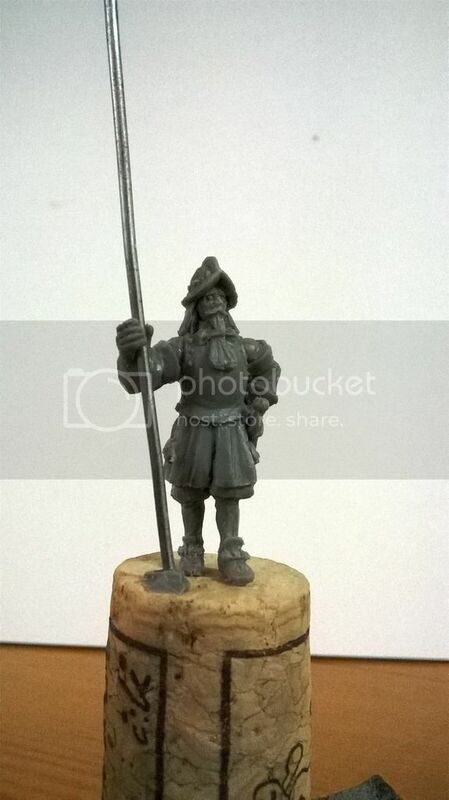 How many sculpts do you have finished? 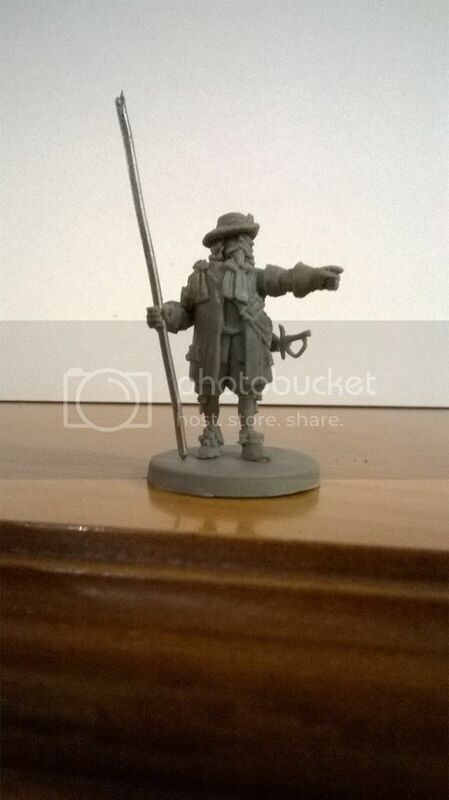 My plan is having 3-5 sculpts of easy conversion in short-term. 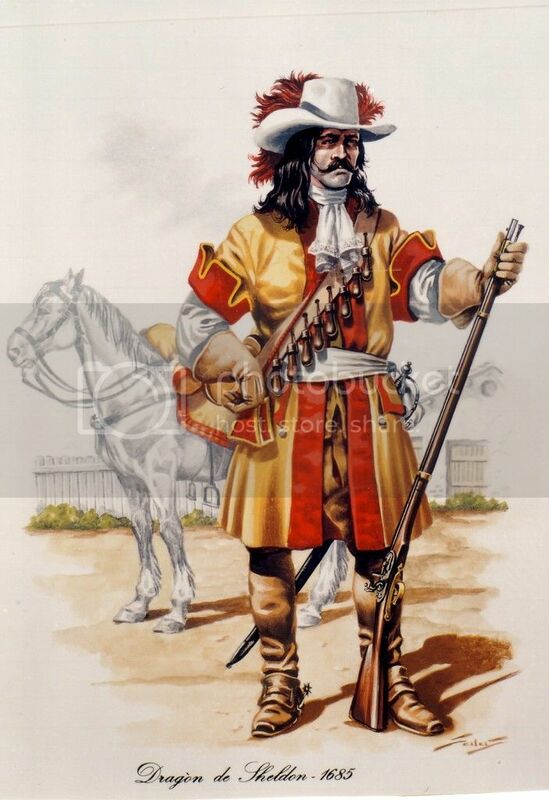 Chema - On a slight tangent, I don't suppose you have any details for the Duke of Osuna's cavalry regiment, which served briefly with the British garrison at Tangiers in 1680? I think they wore white/off-white/grey coats, but have nothing more. 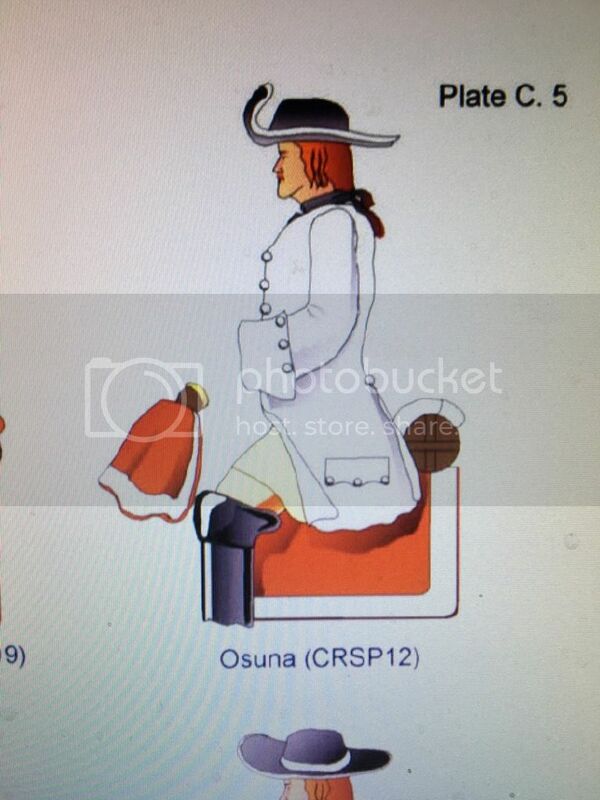 Ronan the Librarian wrote: Chema - On a slight tangent, I don't suppose you have any details for the Duke of Osuna's cavalry regiment, which served briefly with the British garrison at Tangiers in 1680? I think they wore white/off-white/grey coats, but have nothing more. 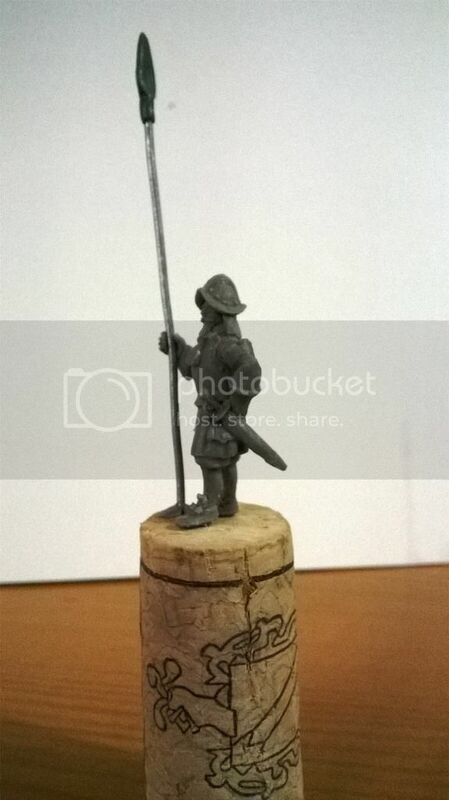 Of course my friend, this regiment was formed in 1661 by the Duke of Osuna, paid and dressed by him, was part of the Trozos de caballería ( cavalry regiments) from the peninsular army and later part of the army of Catalonia front. It fought there in the Franco Dutch and Nine years war... until it was disbanded and merged into other units in 1695, after the unsuccessful allied siege of Palamos in the coast. You are right about the color of the uniform. The flag is unknown... but cavalry used mostly red flags with the burgundy cross of Spain and some decoration and variations. 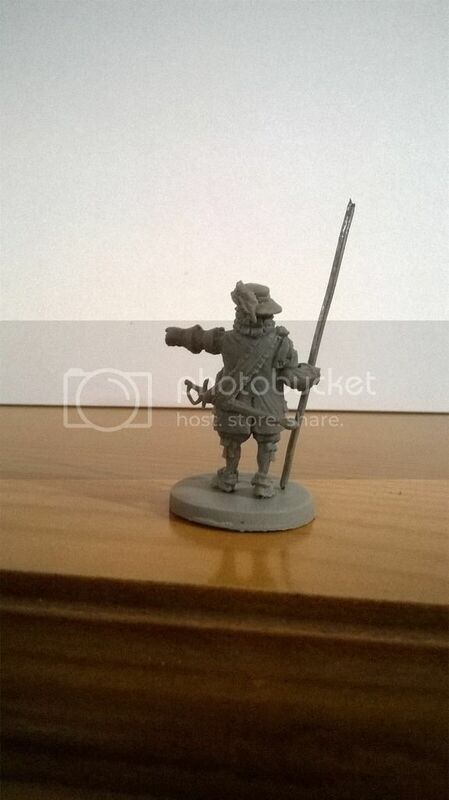 The second sculpt added, a dismounted dragoon, Hope you like it! 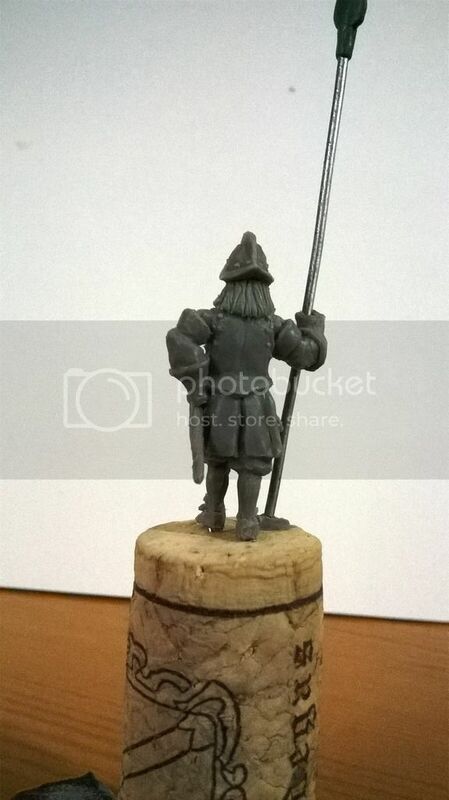 Hello again, I have a new sculpt, this time, a Spanish officer, with cuirass under the long coat. The illustration used is this one, from the 1670' Showing the Castilian companies which defended Ceuta from the Moors. 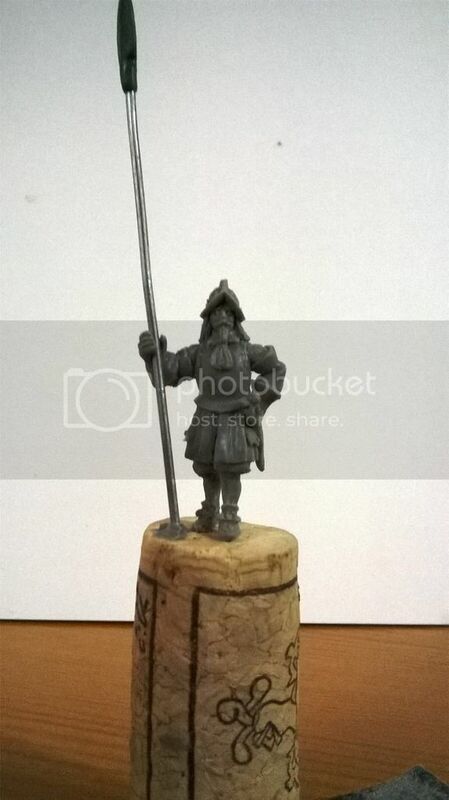 And the sculpt itself, is modified from the illustration, I wanted him with an open hand in order to carry a partizan, halberd or Flag. The sword was reworked because at first it had a ridiculous size. Thats some really fine work! I have trouble even trying to make stuff like sandbags in miliput/green stuff. 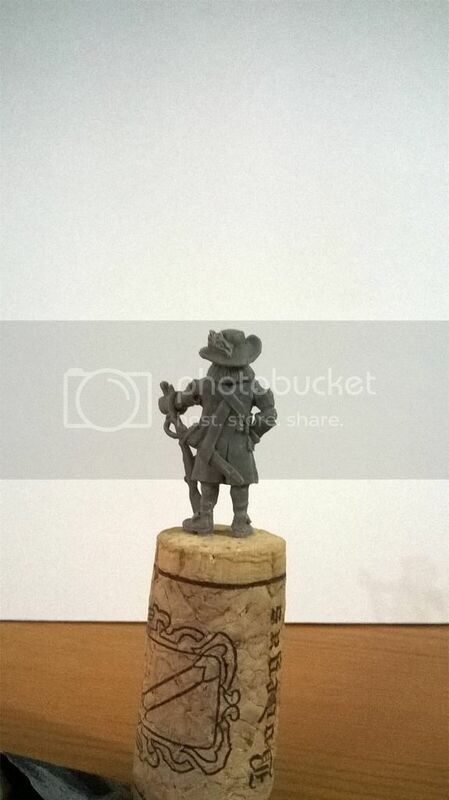 I have no idea how someone can actually make humans and horses out of clay and other stuff! All honour to you sir! 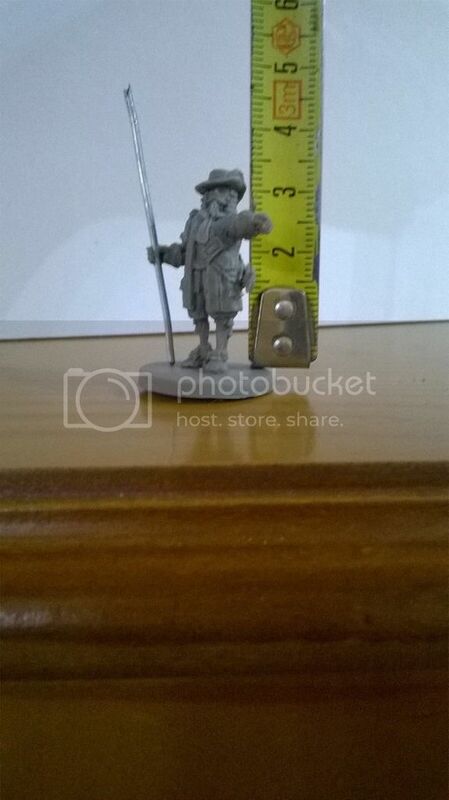 chema - Thank you very much for your reply to my question about the Spanish horse regiment at Tangiers. Very useful. Also, I couldn't help noticing the "Dragon de Sheldon" image. Was this regiment "imported" from Ireland originally? I ask because there was a "Sheldon's Horse" in the French army from the 1690s which was originally raised for James II by a Dominique Sheldon, and I wondered if the two units were related in any way. Interestingly, a Dominic Sheldon was one of two English officers - the other was also called Sheldon and was either a nephew or an uncle (sources are unclear as to which of them was which) - serving in Lauzun's Legion in America during their War of Independence. The 1690s Sheldons were Irish, but the 1770s Sheldons were English (and came from Winchester, near where I live); with a name like Dominic - extremely rare in 18th Century England - I would assume they were Catholics, which might explain their enmity towards George III and their service in the army of France. Ronan the Librarian wrote: chema - Thank you very much for your reply to my question about the Spanish horse regiment at Tangiers. Very useful. Hello there, It was a pleasure! Well about Sheldon, As far as I know, He was an Irish Count (Yes, Catholic! 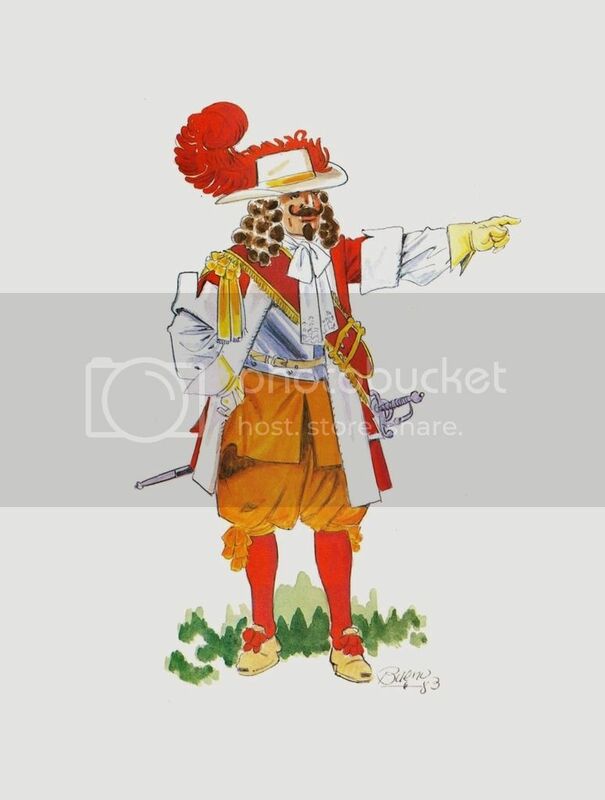 Nowadays officers in the Army still remain very Catholic), who commanded a tercio of Spanish Dragoons in the Spanish Army of Milan, but the troopers were not Irish, probably Italian and Spanish. 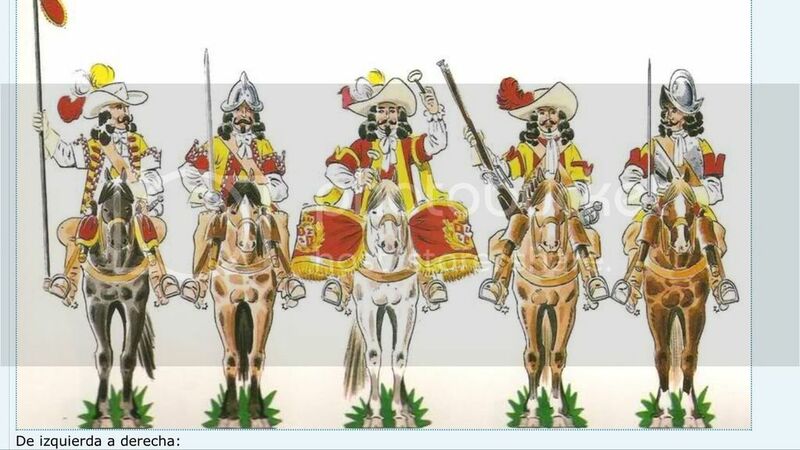 That tercio became the Regimiento de Húsares de Pavía, which exists today. as lovely your own illustrations are did you see those? Hi Günther, yes, I knew them and got inspired by them too, thanks ! by the way, this week I will have the first two greens in metal. Now I leave you with this comparison shot.